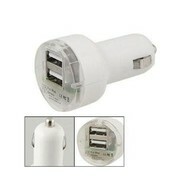 3.1 Amp Dual USB Auto Car Charger for iPhone iPad Samsung, White - NWCA Inc. 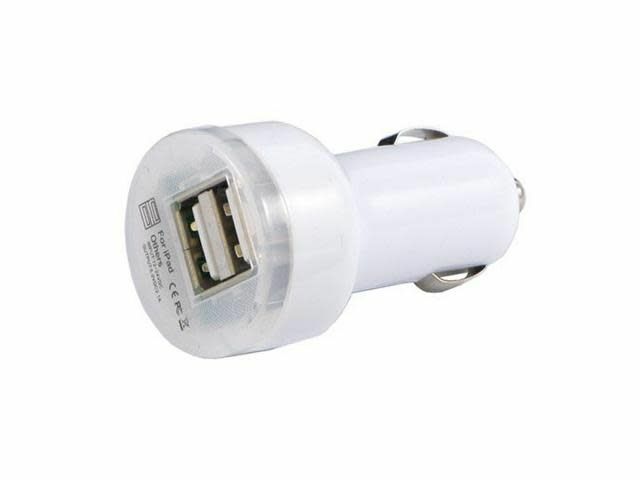 This universal dual port USB car charger is for you to use with your compatible devices. Use your car to charge any device (digital cameras, PDAs, mobile phones, USB accessories and more) that can rely on USB for power. 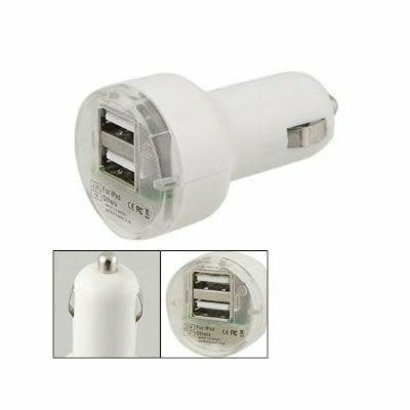 This adapter plugs into your car's DC cigarette lighter jack to become a powered USB port. 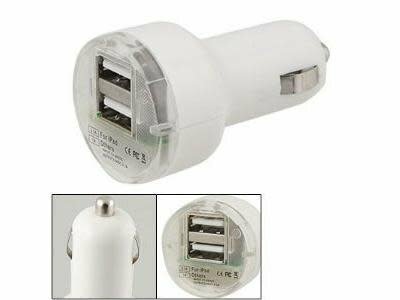 Use this adapter to plug up to 2 USB charging cables directly in the 12/24V lighter socket in your car or truck. It enables you to charge your device from any standard cigarette lighter in any vehicle (used together with USB charging cable, NOT included). The patented circuit board designed is to protect your gadgets from short circuits. 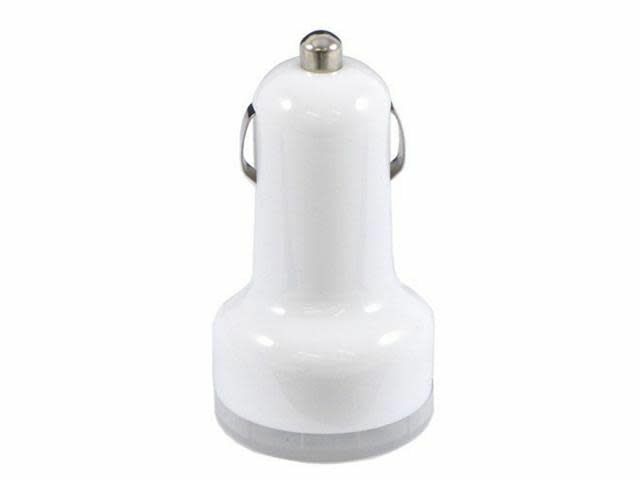 It fits all electronic appliances that use a USB charging cable. Simply use the appropriate USB cable to receive immediate charging to your device. **NOTE: specifications are as follows- output: port1: 5V 2A for iPadPort2: 5V 1A for iPhone, Galaxy Phone, Droid Phone and other USB charging devices. Recharge iPad on upper USB port as indicated on the charger.